Arduino to Processing graphing multiple sensors – helloCircuits! Here is my version of the Graph example code that simplifies things for easier adaptation, plus some other cool stuff like a translucent overlay to see past data history. It’s designed to use any number of sensors or other data, analog or digital, binary or 8-bit or 10-bit or whatever you want, with generic variable names that you can change to suit. Send COMMA- or TAB- SEPARATED ASCII-encoded strings to serial port. Instead of receive multiple inputs in computer using processing code, how we can receive multiple inputs simultaneously with arduino through serial communication. I’m trying to communicate serially between two arduinos using multiple inputs. Marcos, try using i2c. A good explanation with example code is here. Thanks for reply the message, but the problem is that I need to make the communication via TX / RX pins. This is because I will use an rs485 shield to transmit long distance. Rs485 sustain transmission in long distance. This shield use TX / RX pins to establish the communication between arduinos. 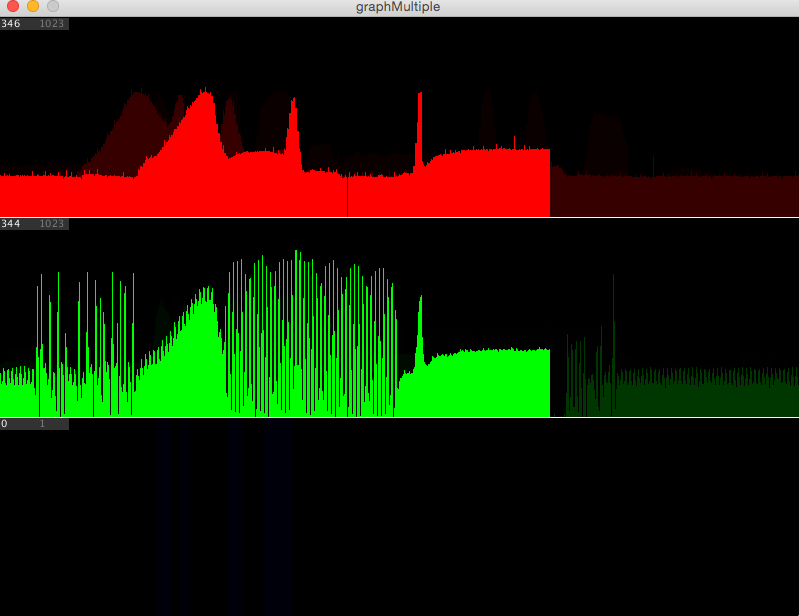 I would like to plot the real time graph from input provided by the arduino (IMU sensor). I wish to see the axes and adaptive axes for the processing code. Help me out with the processing code. The below is my arduino code. convert the received quaternion to Euler angles. to transmit the decoded data to be displayed on computer. Auxiliary Port > Auxiliary Port Mode: "UART"
Tested with "arduino-1.0.3" and "Arduino MEGA". Help with processing code which has my variables.